I was yawning when Mum took this, but she says it looks like I'm singing. I think it looks like I'm roaring like a wild cat. What do you think? MOL I think it looks like the LION ROAR, and that~makes you~one tough kitty!! Definitely a roar from the Queen of the Cats! I'd definitely opt for roaring wild cat! 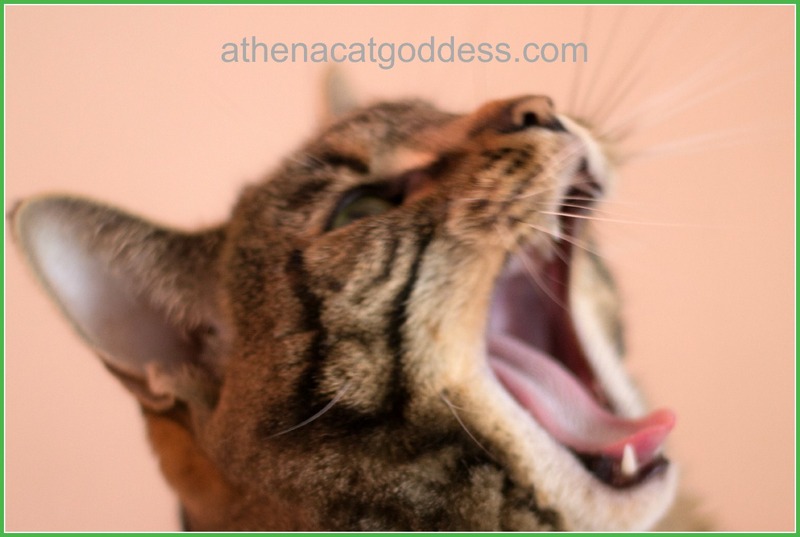 Yep , you are definitely roaring like a wild cat , Athena !! I definitely think you look like you're doing the wild cat thing! You go girl, get wild! My first thought was singing. But I could imagine that to be a zen-like roar (if your eyes were more intense, it would be a wild roar).